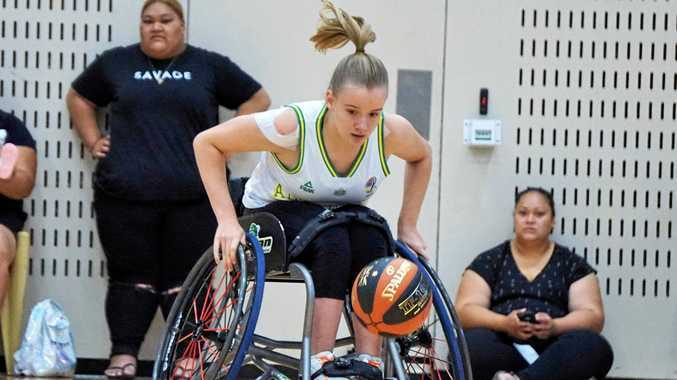 BASKETBALL: Gladstone's Sarah King said it was an absolute highlight to have been selected to represent the Australian Under-25 Devils wheelchair team. She has just competed in an international series against Japan in Canberra which will finish tonight. "I was excited to find out that we had this opportunity to play Japan," she said. "It is my first time playing at an international level so was looking forward to learning and being exposed to different players. "To play in the green and gold was very special and I feel privileged to be representing Australia." Devils beat Japan 51-49 in game one before the visitors responded in the next two games 69-28 and 51-46 respectively. 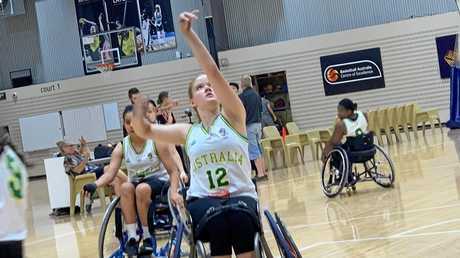 The Aussies squared it to 2-2 after a 61-43 win on Thursday before the penultimate game this morning - a 60-14 loss. The final game will be played at 7pm today. 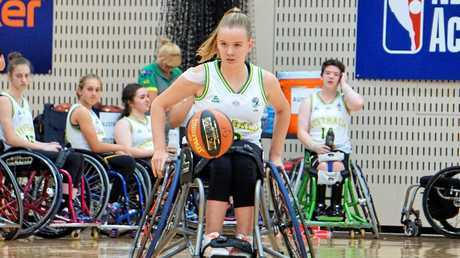 Head of Wheelchair Basketball Leigh Gooding said it's not just about scoreboard results as the team prepares for the IWBF U25 World Championships in May. "This is a fantastic opportunity for the Devils to come together and play against a quality opponent in preparation for the World Championships," he told Basketball Australia. King got regular minutes in Canberra and she said her role has changed. "My role at this camp has shifted to ball carrier and point guard which is different from when we last spoke," she told The Observer. She recognised the areas of her game she needed to work on. "It has been a challenge for me as some of the skills I need are different than previously," King said. "Playing point guard means ball carrying under pressure which I need to work on. "My communication on court has improved as well as my shooting." She has had positive feedback from the Australian coaches. "They are encouraging me to be stronger with the ball and more aggressive," she said.